DCP31 Heat Treating Programmable Controller. 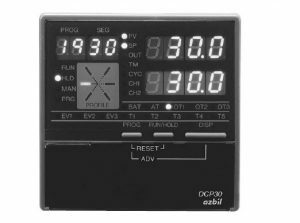 The DCP31 is an advanced function programmable controller supporting up to 19 program patterns and a variety of input types: thermocouple, resistance temperature detector (RTD), DC voltage, and DC current. The DCP31 supports extensive digital I/O functions including 3 event outputs, 5 time event outputs (optional), and 12 external switch inputs (8 optional). 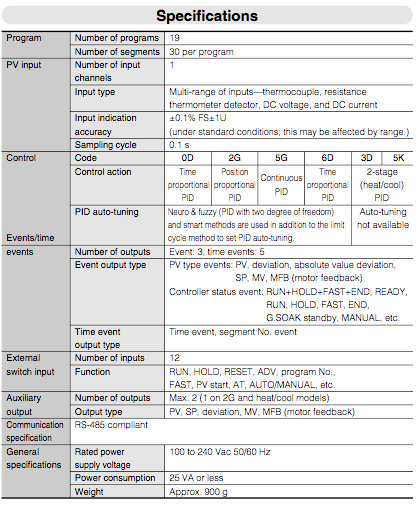 RS-485 communications and up to two auxiliary outputs can also be added as options.